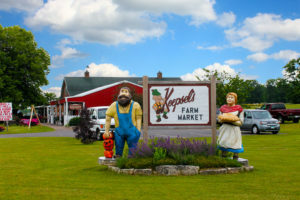 Our market includes home-made jams, jellies, fruit butters and canned goods, as well as fresh bakery items, meats, smoked fish, cheeses, fresh vegetables & fruits, Door County wines and Door County maple syrups. 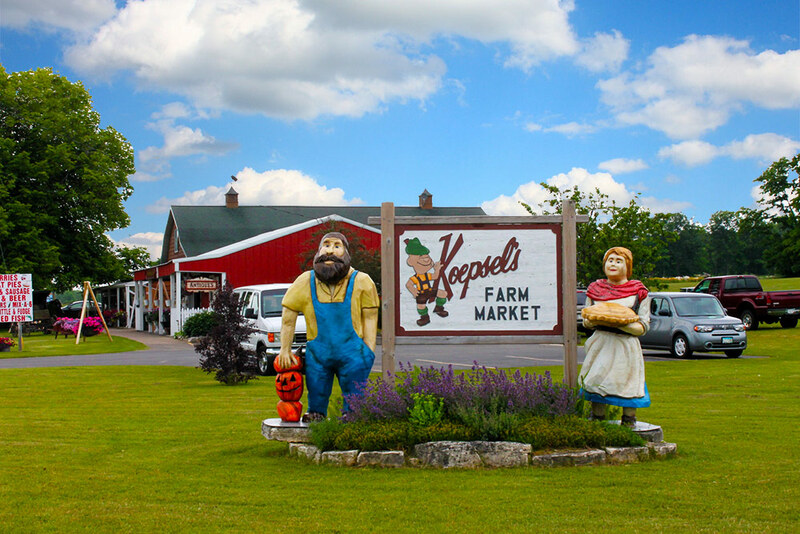 You name it, we have it at Koepsel’s Farm Market. Our selection and variety of items available for purchase is incredible and now you can purchase some of these items year round via our online store. 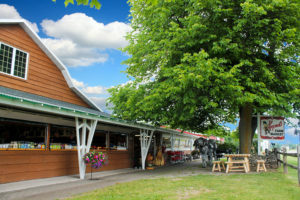 We have a great eye for antiques and have done a spectacular job at incorporating them throughout the market. We have several seed counters (antique display bins used in country stores of the past) with different varieties of canned goods and other goodies displayed on them. Wash bins, an old kitchen stove and other antique store counters are used throughout our store. Karrie’s brother Dennis has taken over the antique shop from thier parents and operates it along with his wife Melissa and daughter Bailey, he has a wonderful selection of antiques ready for your home. He is located in the building right next door to the market.